FEW beverage indulgences are as widely loved as that of a good cuppa. Coffee powers a good many of our days, and once you’ve got your own pad, there’s an added boon: the machines can be real slick additions to the look of the house. Here are some quality machines to match every budget – who knows, you may one day run the gamut. You aren’t really crazy for coffee. But the single origin, responsibly-sourced trend hit the workplace hard, and now you’re the unwilling custodian of over two dozen expiring single-use packets of coffee beans/grounds. May as well pop them in a machine that can adequately prep the caff. It’ll pay for itself. 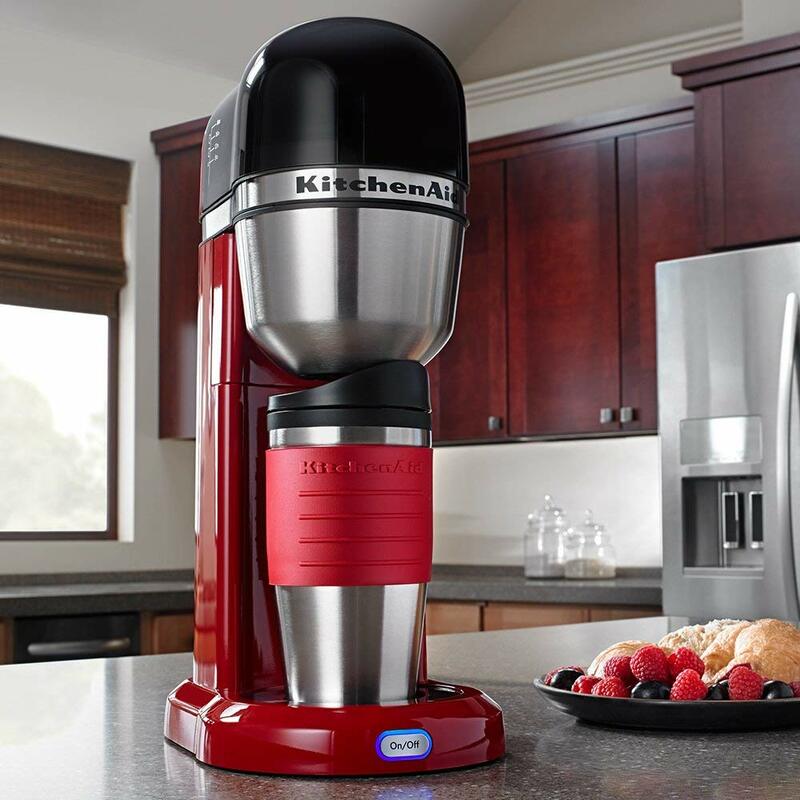 The KitchenAid KCM0402ER Coffee Maker (pictured here in Empire Red) fits the bill, especially for those not yet willing to dedicate that counter space. Ditto everything above, but with those infernal tubes of capsules that, by the way, go bad pretty fast. The colleagues didn’t even check if you own a machine. Don’t leave them forgotten in a drawer – the cost of each tube can go up to the teens. There’s not much point fighting the top dog in this arena: Nespresso not only offers simple and well-designed machines like the Essenza Mini, they’ve got the best infrastructure to support your coffee addiction. So you’re intrigued, and suddenly just tipping the cold milk in seems like an affront to these delicious blends. You stop icing your coffees for that reason. Sacre bleu! Time to buy one with basic milk frothing functions that can set you up some great cappucinos. Likewise, your machine needs to step up in sophistry, delivering more options and more careful handling of the product. 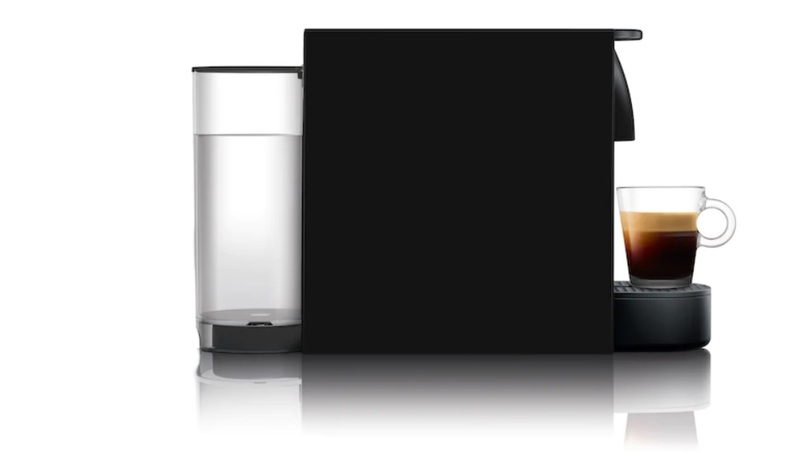 The Mr. Coffee One-Touch CoffeeHouse Espresso Maker has a clean interface perfect for those looking for a little more from their coffee machine. Mouthfeel begins to matter. You visit artisanal shops and have freshly-roasted coffee grounds delivered to your house every month. Your coffee vocab begins to help you understand what these French sommeliers are muttering rapidly in restaurants. It’s spiralled into a full-on obsession now. You’ve developed quite the nose for aromas and terroir, and visits to coffee plantations are on your travel itineraries. 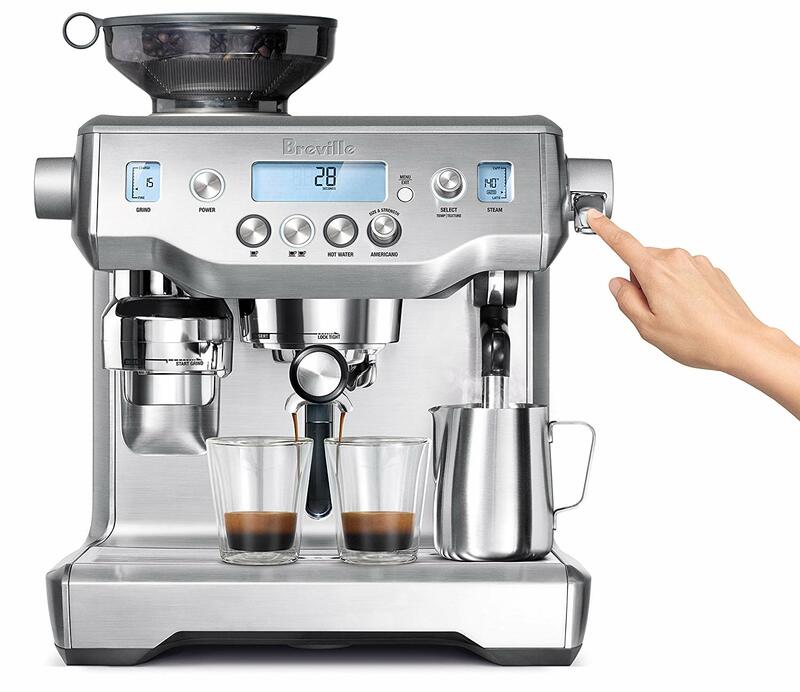 The Breville BES870XL-Barista Express Espresso presents you with a dizzying array of controls that, by now, you should look forward to tinkering with. After all, you want to control the intensity and flavour of your morning shots. Well, who needs that much counter space, anyway? You’re ready to surrender your surfaces to the art of making the ultimate cuppa. 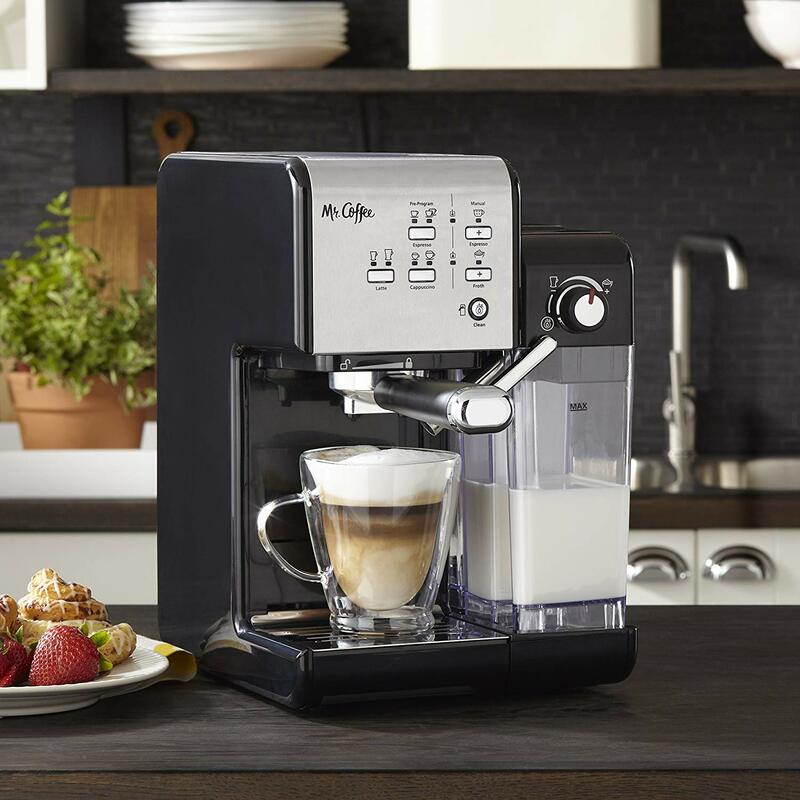 You’re even starting to pull your own latte art, or serve up the perfect froth to grateful house guests. You’re not seeing double – there are two high-end Brevilles on this list. 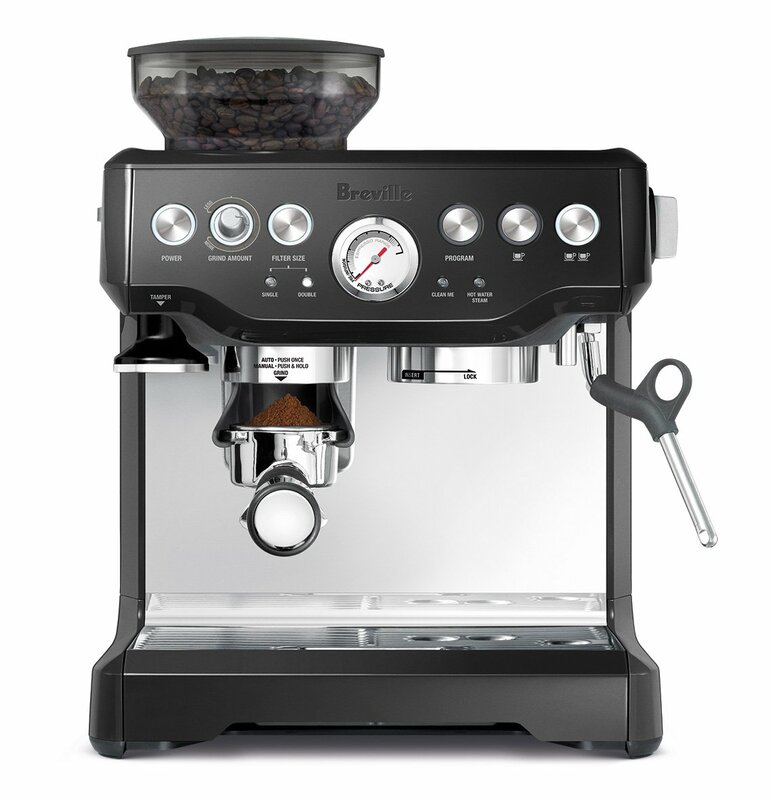 The Breville Oracle hits all the marks of the previous tiers, while conserving something precious to us all: time. Lots of it. 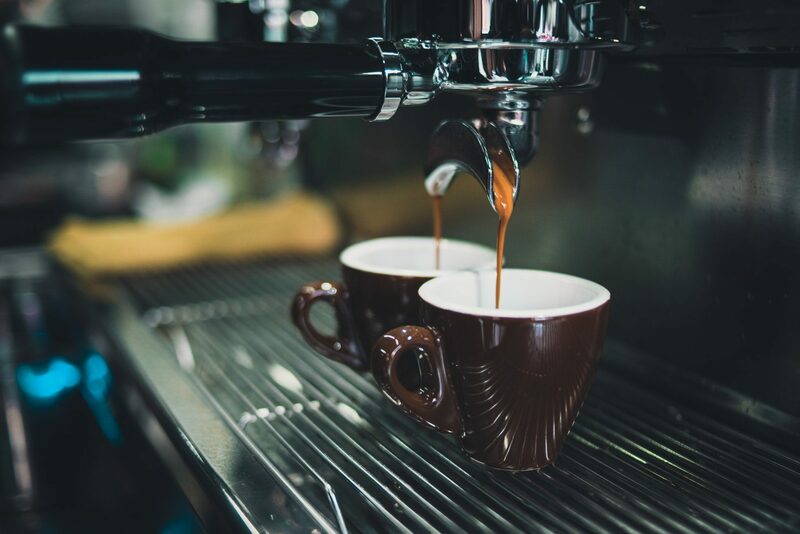 A staggering number of programmes (and a self-damping grinder supporting up to two baskets) can be augmented with your own personal recipes for that one-touch cuppa. The hulking, brushed stainless steel surface sets it apart from the plastic-dominated exteriors of its peers.